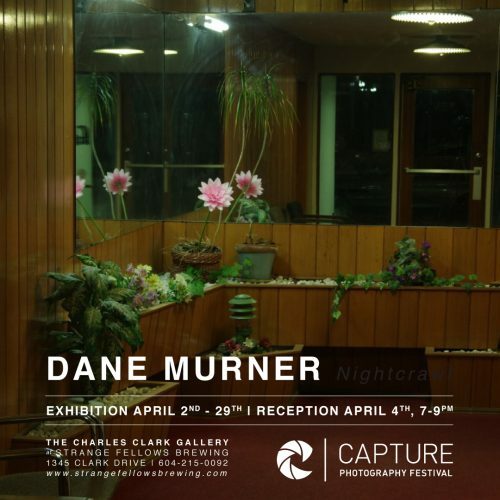 Part of the Capture Photography Fest, we are happy to host Dane Murner’s Nightcrawl. “Almost always, my photographs are taken while walking. Walks solely with the intention and focus of finding something that will make an interesting photograph. I am attracted to not only interesting objects, but as well as gestures, colour palettes, intriguing light and even scenes that produce an illusion once photographed. Fleeting moments may only be photographed once or twice, while static subjects are photographed from multiple positions until I find the most interesting composition of the scenes subjects and elements.